Xiaomi Mi 8 Dual Sim (64GB Black) at £114.99 on Red Extra (24 Month(s) contract) with UNLIMITED mins; UNLIMITED texts; 30000MB of 4G data. £34.00 a month. Xiaomi Mi 8 smartphone with 6 inch 1080x2248 display powered by 1.8GHz Octa-core processor alongside 6GB RAM, a dual 12-megapixel camera and a 20 mp selfie camera. 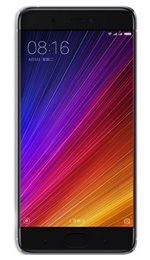 Xiaomi Mi 8 Dual Sim (64GB Black) at £124.99 on Advanced Unlimited Data (24 Month(s) contract) with UNLIMITED mins; UNLIMITED texts; UNLIMITEDMB of 4G data. £43.00 a month. Xiaomi Mi 8 Dual Sim (64GB Black) at £124.99 on Red Extra (24 Month(s) contract) with UNLIMITED mins; UNLIMITED texts; 1000MB of 4G data. £26.00 a month. Xiaomi Mi 8 Dual Sim (64GB Black) at £139.99 on Red Extra (24 Month(s) contract) with UNLIMITED mins; UNLIMITED texts; 15000MB of 4G data. £30.00 a month. Xiaomi Mi 8 Dual Sim (64GB Black) at £149.99 on Advanced Unlimited Data (24 Month(s) contract) with UNLIMITED mins; UNLIMITED texts; UNLIMITEDMB of 4G data. £42.00 a month. Xiaomi Mi 8 Dual Sim (64GB Black) at £169.99 on Red Extra (24 Month(s) contract) with UNLIMITED mins; UNLIMITED texts; 5000MB of 4G data. £26.00 a month. Xiaomi Mi 8 Dual Sim (64GB Black) at £174.99 on Advanced Unlimited Data (24 Month(s) contract) with UNLIMITED mins; UNLIMITED texts; UNLIMITEDMB of 4G data. £41.00 a month. Xiaomi Mi 8 Dual Sim (64GB Black) at £189.99 on Essentials (24 Month(s) contract) with 500 mins; UNLIMITED texts; 500MB of 4G data. £23.00 a month. Xiaomi Mi 8 Dual Sim (64GB Black) at £19.99 on Advanced 12GB (24 Month(s) contract) with UNLIMITED mins; UNLIMITED texts; 12000MB of 4G data. £32.00 a month. Xiaomi Mi 8 Dual Sim (64GB Black) at £194.99 on Red Extra (24 Month(s) contract) with UNLIMITED mins; UNLIMITED texts; 1000MB of 4G data. £22.00 a month. Xiaomi Mi 8 Dual Sim (64GB Black) at £199.99 on Advanced Unlimited Data (24 Month(s) contract) with UNLIMITED mins; UNLIMITED texts; UNLIMITEDMB of 4G data. £40.00 a month.